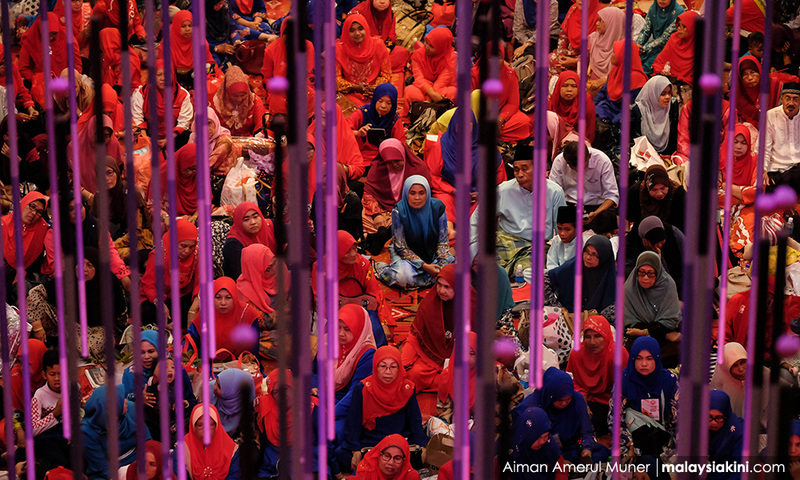 COMMENT | Umno heads to its party elections at the end of the month. Nominations are in and a real contest is taking shape. This is a contest not just about the future of Umno but for the future of Malaysia. Despite being decimated in the May 9 elections, Umno continues to hold onto the support of at least a third of the Malay electorate and its actions in opposition will affect the country’s political direction. While the steps to rebuilding Umno’s credibility will require significant internal party reform and the adoption of new forms of political legitimacy and public engagement that are likely to take years to take root, the first test for Umno will be its party polls. At the core of this test is whether party stalwarts, tainted by close associations to the disgraceful leadership of Najib Razak, will put the love of the party above self-interest and, finally, long overdue, put the interests of the country before its discredited leaders. Few have confidence in Umno to do the right thing. This is understandable as they watched the party pilfer the national coffers and pander to the turpitude of the Najib government. This said, the competitive contest for Umno’s leadership shows that there is indeed some recognition of the party’s new reality in opposition, and some appreciation of the factors that have gotten Umno into the crisis it now faces. Make no bones about it, this is a crisis for the very survival of the party itself. There are, however, differences on what those factors are and, importantly, interests of those who actively engage in denial to maintain their power and influence in the party. Broadly, the contest is a battle between “old” and “new” politics, with the former engaged mostly in denial and the latter willing to embrace change, albeit at this juncture, of a conservative nature. 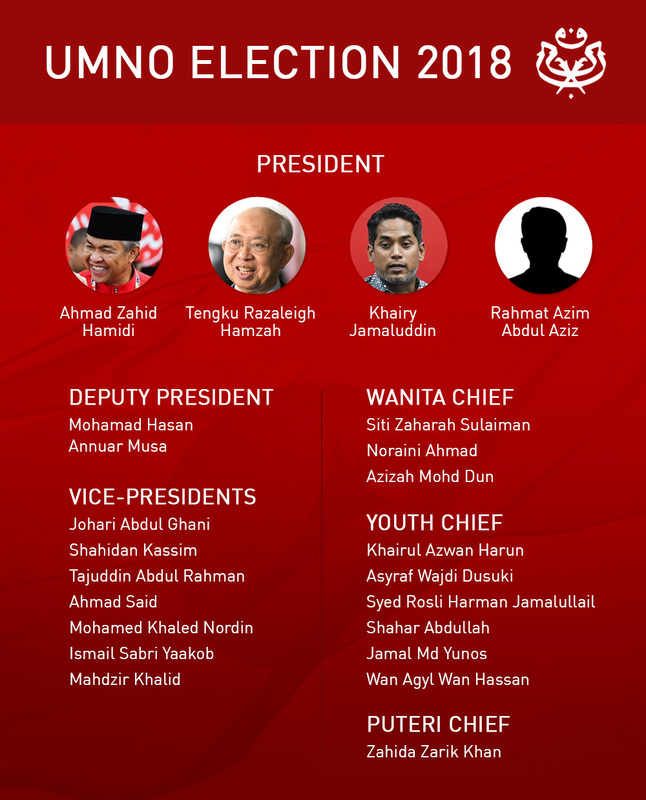 While there are many contenders, there are three main teams - the close Najib allies, Ahmad Zahid Hamidi, Annuar Musa and Tengku Adnan Tengku Mansor; those around veteran leader Tengku Razaleigh Hamzah; and those around the last-minute entrant for the presidency, Khairy Jamaluddin. In coming days, the composition of the different teams will likely be finalised as sides are chosen. Zahid has the heaviest burden to bear as Najib’s right-hand man and strongest stalwart and is using the issue of loyalty as part of his appeal to the voting leaders. Razaleigh distinguishes himself as one of the few MPs who criticised the 1MDB scandal early on and opposed the controversial Goods and Service Tax (GST). He also stands as a contemporary to Prime Minister Dr Mahathir Mohamad in an era where age and experience are more of an asset than in the past. Khairy was among the first to call for the acceptance of the GE14 results and publicly urge for party reforms after the Umno’s defeat. He is capitalising on his youthfulness. His entrance into the presidential race, after opting initially for a vice-presidency, has however potentially made him a spoiler, with calls of ‘treachery’ circulating as a result of his earlier pledge to support Razaleigh’s candidacy.